You say gorton, I say caw-taw. You say creaton, I say pork spread. What the heck is pork spread you well may ask? 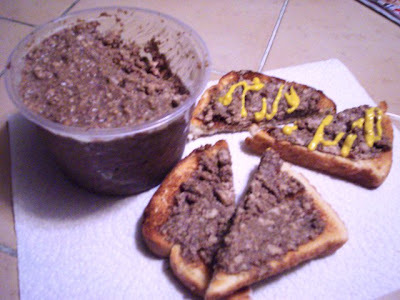 Well in French households, it is a traditional homey treat that consists of ground pork, lard and spices that is cooked down for what seems like hours. When most of the fat is cooked away, it's then left to cool and congeal (doesn't that sound tasty). What you're left with can now be used as a stuffing, a sandwich filler or the most popular choice (and what we do) as a spread on toast. Mostly gorton is made at home, but lately it's been showing up in markets and a few specialty shops. 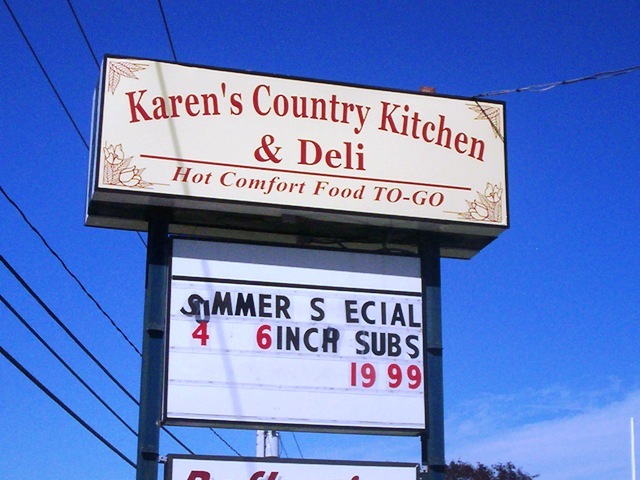 This brings us to Karen's Country Kitchen. On a bright warm Saturday morning, Laura took a quick trip over to Somerset (10 minutes) and drove into Karen's small parking area. We heard that they carried gorton in addition to many other homemade dishes like stuffed peppers, meatloaf, chicken, etc. 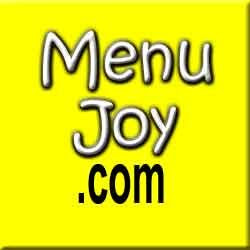 Check out their website above for all their takeout and catering specials. But Laura was on the hunt for a pound of gorton ($5) and that is what she requested upon arriving. A very nice lady went into the back to retrieve a pound. While she was gone Laura couldn't help but notice how bright, cheerful and immaculate this little shop appeared. Really pretty. The nice lady (who may have been the owner) quickly returned and handed Laura a plastic container with our porky treat. She hurried home and put it in the fridge. We decided to save the gorton for our Sunday morning breakfast. Laura got to try it first because she had to leave early to volunteer at Habitat for Cats. When she returned, I was just getting ready to make mine. I had bought a fresh loaf of bread so let the toasting begin. Toast done, I spread my gorton thinly over the top and dug in. Mmmm, so good but a little spicy. I think Karen's was a little heavy-handed with the clove (or all spice). After I had finished with the toast/gorton, my mouth was a little burny with the clove taste. It was still good, but I missed tasting the sweetness of the pork itself. Laura had hers with mustard, as many Fall Riverites do. I liked the way this pâté spread (though Laura thought it was a bit crumbly). Generally I'd say I liked the gorton, but I've had better. I think, in this case, less may be more concerning the clove. Toning down the spice would let the pork shine through. And who doesn't like pork?